It’s no big secret that video often improves conversion rates. And with Facebook, Twitter, and Instagram all making recent upgrades to their video capabilities, it may almost seem like a no-brainer to blast your next marketing video everywhere you can. Every platform is different and therefore no single video is right for every platform. That’s not to say your business shouldn’t be using every platform, but let’s be smart about it. What Are Your Video Platform Options? 1. Your Website. This is perhaps your most valuable platform. This is where you have the most control over how your audience views your video(s). And your audience is already on your site, which means they are one step closer to converting. 2. YouTube. While you can use YouTube to host the videos on your site, I don’t recommend it. YouTube, the platform, should not be ignored though. It’s the second biggest search engine behind its parent company, Google. 3. Facebook. Facebook’s news feed algorithm loves native videos. In fact, this study shows that native Facebook videos get 2x the views and 7x times the engagement than a YouTube video embedded on Facebook. The biggest difference UX-wise? Auto-play. 4. Twitter. While Twitter isn’t the giant that Facebook is, there’s a good chance your audience is on it. Twitter is great at connecting brands, celebrities, and your everyday Joe. And unlike Facebook, as a brand you don’t need to pay a premium to get your content in front of your existing audience. Similar to Facebook, native videos do great thanks to auto-play. 5. Instagram. Instagram is 100% photos and videos. And just like Facebook and Twitter, videos auto-play. Unlike the others, Instagram feeds aren’t filled with links to other sites. As a marketer, this makes it harder to track the platform’s impact on your business. But, it also makes it easier for good content to stand out. 6. Snapchat, Periscope, Facebook Live. These new(ish) platforms are already starting to gain traction. While it might seem tough to find a practical reason to use something like Snapchat for B2B purposes, plenty of companies are. But since these platforms are all so unique to the “traditional” online video marketing platforms, they deserve their own individual attention in a separate article. Conversions come in all different shapes and sizes, but for the sake of simplicity we’re going to limit it to any goal you have for your audience while they’re on your actual website, something tied to your bottom line. The goal for your video might be to drive sales, get more email sign-ups, or simply lead your visitor to the next step (or page) in your marketing funnel. Whatever the goal may be, it’s important to figure it out before you start making the video. Apparently it’s working. People who watch a video on our product pages are nearly twice as likely to complete an order compared to those who don’t. These kind of results aren’t unique to just our business… Crazy Egg increased their conversion rate by 64% with video and this study from Unbounce highlights several other companies whose conversion rates have benefitted from video. We use Wistia to host all the videos on our site because it gives us a lot of control over the viewing experience. For example, on our product pages, most of our videos end with a still shot of our logo. It’s clear that the video is finished and the actual CTAs on the page can stand out. If we were using YouTube, our customers would see a bunch of suggested videos and links that would drive them to YouTube.com. That’s not a step in the right direction. A good CTA within the video, whether it be visual, aural or actually within the video player itself, can be very effective. But keep in mind where the video is actually going to be embedded when crafting your CTA. If you’re making a video for your homepage, don’t end the video by telling people to visit your homepage – they’re already there! Tell them what they actually need to do next. 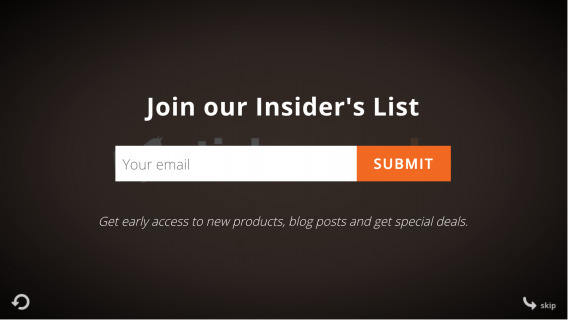 These aren’t the kind of CTAs you would want on a normal product page, but they’re perfect for their own conversion goals. Not only is video great at helping you increase conversions on your site, it’s also a great way to increase traffic to your site. But…. as crazy as it sounds, a great video could also take traffic away from your site. A huge advantage of self-hosting or using a video hosting service is that your videos live on your site, not YouTube. 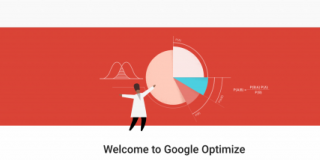 This means your videos help your site rank (vs. YouTube.com) on Google. Each of your videos should contain captions and metadata, which will allow Google to understand the actual content of the video. 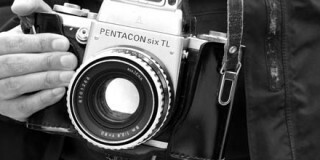 This means a good video, properly embedded on your site, could help your search rankings. Pro Tip: Using Google’s Structured Data Testing, you can see if the videos have all the metadata necessary to be properly crawled by Google. Now, let’s pretend you have a great video on your site, you’ve embedded it properly, and it’s helping your search rankings (and conversions). Why not double down on the video’s success, and post it on YouTube too? The short answer is that it could cannibalize the traffic you’re getting directly to your site. Historically, YouTube has actually done a poor job of sending traffic to websites directly from videos. This study by Distilled looked at nearly 100 businesses’ YouTube channels and found that they had an average CTR of less than 1%. This means that for every 100 views, only one person actually clicked to visit the website. These poor results explain why it’s a bad idea to “blast” the same video everywhere. But YouTube can still be valuable for your business. Depending on your industry, a how-to video or a video that explains an industry-wide topic could make a great video for YouTube and increase brand awareness for your company. The key is to create videos for terms people would actually search on YouTube. While this video doesn’t have a ton of views, the real value comes from introducing people to the brand and offering them quality content. A “teaser” is another type of video that you could use to drive traffic from YouTube to your site. While a teaser for a product video isn’t very likely to go viral, it is easy to make (if you have an existing product video or footage) and can send a worthy amount of traffic to your website. Less than two minutes is ideal. YouTube has so many distractions, so you want to make sure as many viewers make it to the end as possible. By definition a teaser should only “tease” at everything you have to offer. The main goal for this video should be to drive them to a page on your website where they can watch the full video, learn more, and hopefully buy from you. This is actually the opposite of what you should do with the video on your website, but since the entire goal of YouTube should be to drive your audience to your website, you want to make that as easy as possible. We’ve found it most effective to overlay a graphical button within the video itself and throw in a promotional offer. Then use YouTube’s spotlight annotation feature to make the button actually clickable for about 10 seconds. This technique has helped the average CTR on our YouTube videos go from approximately 1% to as high as 20%. Whatever type of video you’re creating for YouTube, be sure to take care of the technical side of optimizing your videos (TLDR: add a relevant title, description, tags, captions). It’s worth noting that YouTube is also a powerful advertising platform. If you’re going to advertise on YouTube, quality and relevance is much more important than “searchability”. The same principles hold true in regards to CTAs though; try to call them out within the actual video (“click here”), and make them as noticeable and easy to click on as possible. Social media is one of the best ways to retain customers and/or fans of your brand and, well, actually build a brand. Whether you’re wanting to raise awareness or encourage repeat purchases, a well-crafted video is a great way to get their attention. For instance, we ran a giveaway on our Instagram account. We used a video that showed off some of our existing products along with plenty of new ones. Anyone who commented on the video was entered to win a free sample pack. Not only did this result in over 80 comments, we also got over 2,000 views, 275 likes, and a bunch of new followers. 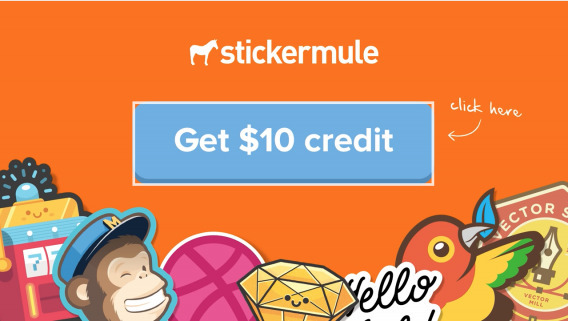 On behalf of the whole team here at Sticker Mule we would like to thank our really awesome community on Instagram of fans, customers, and entrepreneurs. Thank you! 🎉 As a small thank you gesture we want to send a free Sticker Mule sample pack to 10 lucky followers. In order to be entered to win one simply tag two of your friends below in the comments. Winners will be contacted in a couple of days through DM. 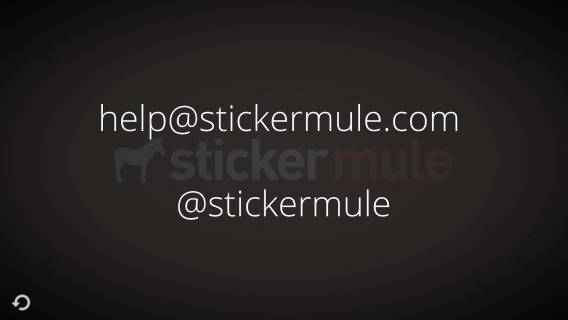 📲 Good luck to everyone and thanks for being an awesome part of the @StickerMule community! One of reasons this post worked so well is that we respected the medium. Instagram silently auto-plays and loops all videos. With this in mind, we made a montage video that didn’t need (and didn’t have) a voiceover and worked well as an endlessly looping video. More importantly, we asked the audience to do something (comment) within the platform they were already on… pretty easy to do! Since you can only link to something on your Instagram bio (not on individual posts), it’s foolish to ask your followers to visit a specific page that they have to manually type in. If you really need them to visit a page on your site, tell them to “click the link in our bio” and update the link in your bio properly. Facebook and Twitter are similar to Instagram in the way they handle video, despite the platforms themselves being very different. Twitter is a much more level playing field than Facebook, where you typically have to pay to play on a large scale. All content is displayed in chronological order. Because of this, it’s pretty common for brands to repost the same content at different times in order to get it in front of their entire audience. For example, here’s a video that we’ve tweeted out several times. Despite the fact that we are recycling content, this tweet has done well for us. Again, we respected the medium by having a video that makes sense without sound, but this time that meant we could include a link to our site. 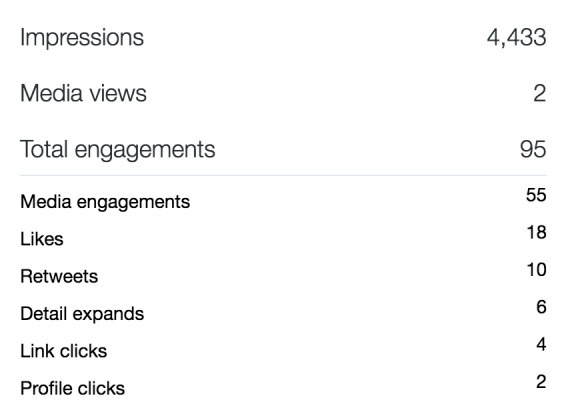 While we only got 4 direct clicks from this specific tweet, we got a decent amount of likes and retweets. While these statistics don’t equal revenue, they do help us a gauge our main goal on the platform: retention and branding… reminding our customers and fans of our brand. Website -> Add captions, CTAs and leverage video metadata. YouTube -> Add captions. 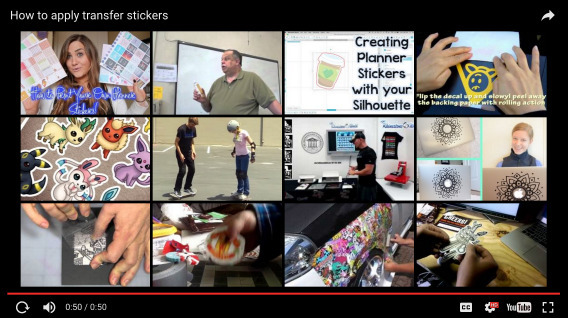 Include a CTA within the video and leverage spotlight annotations. Facebook -> Add captions. Edit for the silent autoplay. Twitter -> Edit for the silent autoplay. Instagram -> Edit for the silent autoplay. Use bio links when appropriate. This is a little glimpse into the video marketing strategy we’ve used to increase conversions. Let me know in the comments what you’ve done to optimize your videos for different platforms. Jeremy Wick is Head of Video at Sticker Mule, the Internet's favorite place to get custom stickers. 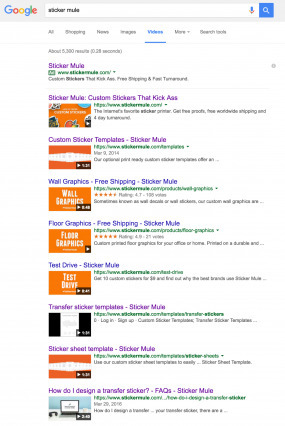 Sticker Mule has a sweet deal for all ConversionXL readers... $29 (+ free shipping) for 50 custom stickers. I agree totally with your view about the importance of where to host your website videos. We have a very popular YouTube channel with over 30 million views. It’s great for brand awareness, but we are limited with what we can do with the videos to get visitors to the website; especially confusing if they are already there! I am reviewing how we do this going forward, but hosting your own videos and not relying on one video for all platforms makes sense. Wow, that is ton of views! If you’ve built a good following and subscriber base on YouTube then I would still try and leverage that going forward. Very nice article, and helpful too. Choosing a right platform for publishing your video is very much important, the platforms you have mentioned (social media) are the most common platform from where anyone can grab traffic, visibility, and even right audience. Making your video in a correct manner is important there are various tools for the purpose of making videos, measuring the growth of your video, amount of sharings , analytics, reach etc. at http://betapage.co/ Check them out. I had a hard time reading past the intro without Wistia being included in the list. Wistia ROCKS! They’re by far my favorite platform for video hosting and conversion optimization. They have custom player options (color the play button to be visible with the thumbnail), “gated” options for lead capture, and included Schema.org microdata to help optimize SEO.